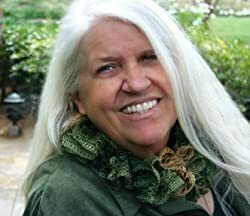 Creating fiction for all readers, Caryl McAdoo instills Christian values and scriptural principals in all her books these days. With four current series, she offers historical Christian ‘Texas Romance’ family saga; a contemporary ‘Red River Romance’ with the northeast Texas county setting as its common link; The Generations, a Biblical fiction bringing characters of old come to life, and her most recent Days of Dread Trilogy for mid-grade and young adult readers. Caryl's known as the Singing Pray-er and loves praising with new songs God gives her. Her motto is 'Praying my story gives God glory!' With her high school sweetheart-husband Ron and four grandsons they're rearing, she moved from the DFW area—home for fifty-plus years—to the woods south of Clarksville, the seat of Red River County. Four children and sixteen grandsugars are her life’s biggest blessings, believing all good things come from God. Besides glorifying Him, she hopes each title will also minister His love, mercy, and grace to its readers. Please enter your email address and click the Follow button to follow Caryl McAdoo! The spirit is willing, but the flesh is weak. Born in sin, but redeemed by the blood, John David Nightingale rejects his mother’s heritage and embraces his paternal grandfather’s faith. What price will he have to pay? Vietnam looms and his love, Hannah Rose, beckons, but the call of the Lord is so strong, David must answer. The McAdoos' chatty, folksy style gives us an endearing glimpse into the lives of some of Texas's courageous firefighters and a peek into firehouse kitchens across the state.